Tom Holt- Lead vocals, Ollie Eardley- drummer, Aiden Collins- Bassist, Dave Armstrong- Rhythm guitar, and Sam Bowers- lead Guitar. How did you form? Tel us your story? We originally formed back in college in 2012. It began as a means to finish our live assessments but throughout that year we grew to be a band. A couple of years after college and a couple of early single releases and videos later our original drummer and bassist left the band to pursue university and other projects. 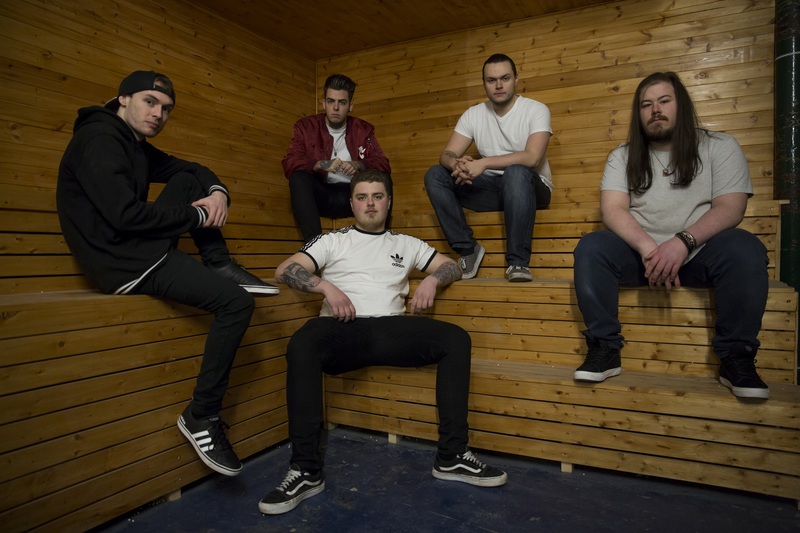 We got Ollie who we knew from back in college as a fill in drummer to begin with to cover a couple of gigs which then later became a permanent thing due to how well we got on, and everything he brought to the table. After securing a drummer we then acquired Aiden our bassist, also attending the same college and considered a close friend to Ollie anyway, Things easily started to fit together and eventually became the permanent line up we have today. From this point onwards we were a band that wanted to achieve things, really started to take things seriously and knew what it meant to start putting the hard work in to get where we needed to be. Shortly after the forming, we went on to complete our first EP ‘Hunting Season’ which has opened the door for more opportunity and offered us the chance to show people what we are capable of. The bands tastes and influences in music range from Eminem, Deftones, Rage Against the Machine to name some of the main ones. But we all have back grounds in different styles such as blues, rock, soul, metal, djent which helps us to combine other forms of writing to make a unique and up to date style of Rap Metal. The band name was decided early on, we wanted something fresh, something that doesn’t define our music style but sounds updated and interesting. Something people can really hear and remember. So we thought Arcadia fitted the vibe perfectly. We combine current writing styles for rap and metal and use that with updated gear and sounds to bring a new life to Rap Metal! We aim to make people move, dance, head bang and enjoy their time at our gigs. We are engaging, professional and LOUD! We find that if you don’t enjoy what your doing on stage than neither will the crowd. We have aimed to get rid of the guitarist that never looks at people, the drummer that never moves, and the singer that doesn’t get in people faces. Instead we are animated, alive and we command the stage we are given.